We wanted to bring back a long-lost feature, one that we believe is necessary for our players and will spice up the daily lives on Dalaran-WoW. As you are aware, our team was quite small these past few years and several features and improvements had to be delayed or put on hold to focus on more pressing matters. With the great help of our new additions to the Development and Game Master teams, we can once again resume that work. The feature we are talking about is, of course, the celebrated Changelog. Each new addition is special, as we have put much care and hard work into them and each one has a thematic relevance to it. We have also kept the old Changelog entries in the Archived section, as we believe they were worth preserving. We would also love to document and publish in a future all the work done until now as archived changelogs. Onwards to the people doing the development work: Robinsch is our main class developer, Rushor is working on general development and Jonanone is polishing quest areas. We would also like to inform you that a few of the primary staff members that started with us as Game Masters are also collaborating with the developers and are helping with fixes and testing, most noticeably Khazgorath and Golganeth. There is also an extra developer in the process to start collaborating to the class and PvP fixes. In order to streamline the process, the Bug-tracker has been greatly improved with the addition of new tags, templates etc. and all Game Masters will be more active there as well. We continue counting on your help with feedback and well-organized reports, as they both aid us greatly in identifying and fixing outstanding issues. 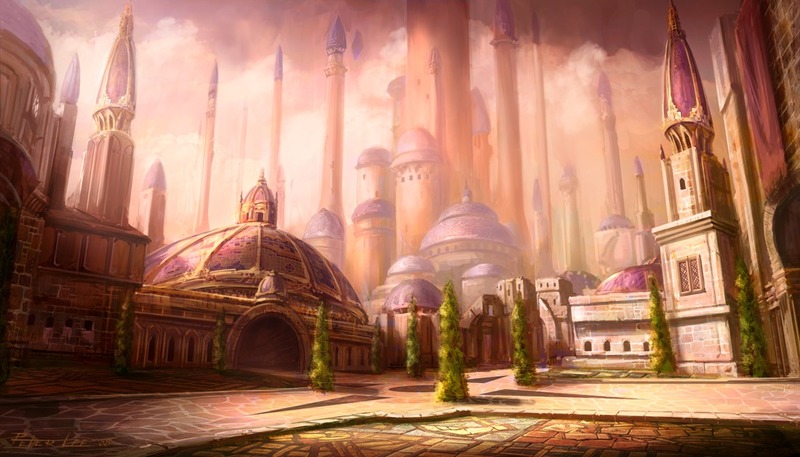 It is your reports that bring most of the problems to our attention and without this constant effort from your side, Dalaran would not be the same. Is this team effort that unites us in our quest for the perfect WotLK home. On a side note, we have already set up a permanent PTR realm to test all the changes before they are deployed to the live realm, we have been thinking of inviting a few players to it for intensive testing sessions (dungeons, full quest zones, etc..). We will make a selection process for the Tester position, more information will be in a future announcement. We would also like to take advantage of this announcement to thank the community for the efforts made to adapt to the social rules and for reporting those who were ignoring server rules of behaviour. Thanks to you, the overall quality and mood of our global chat has vastly improved and we are certain that all newcomers will be happy to join the community jokes and conversations. It is our belief that good community interactions are an important basis for Dalaran, and it is something every citizen can help with to make our home even better. Keep it up! We would like you to inform you that we have already selected 5 developers from all the applicants. Two of them will be fully dedicated to the classes and spells. These two developers will also work in the PvP content and overall server optimization once the classes are vastly improved. We will also have a quest developer, as well as 2 more collaborators who will help us with dungeons and overall server polishing. With the introduction of the new developers, we are going to open a new subforum dedicated to the changelog. There you will be able to see all the fixes and all the changes performed very easily, instead of having to go to the bug tracker and check the closed reports. In a few days, we will be recruiting a few volunteer testers, whose task will be to verify the new fixes made by the development team, before implementing them into the live server. We will give more detailed information about this position when the time comes, as well as an announcement in the website, stay tuned. We would also like to give a warm welcome and to congratulate our new 4 Game Masters. They started a few weeks ago and they seem to fit perfectly in our team. Their effort and dedication can be already noticed by the players and the in-game assistance has improved quite a bit. They are solving the most common and basic in-game issues. Anyway, we will be rechecking all the Game Master applications we have received, since we would like to incorporate 2 more of them, in order to better cover the NA times. If none of the current applicants can fit the time schedules, we may be reopening the recruitment with that specific requirement. Since the tasks are now better distributed between the staff members and the workflow will be less heavy for everyone, our communication with you, the community, will be more constant and effective. We are really excited about this and we are looking forward to improve our content even more. We will continue giving our best and never stop until we achieve a perfect WoTLK home. – Exploiters and Hackers are being punished constantly with a Permanent ban, refrain yourself from those behaviours if you want to play with us. There is no global announcement when the ban occurs anymore. Tickets reporting players must contain proof about it (include the screenshots or video links on the ticket), tickets reporting players without proof will be discarded. – Disrespectful or inappropriate names are being forced to rename without warning, it will lead into a ban if continued. – Disrespectful or inappropriate behaviour will be punished with mutes or bans if repeated, if you want to report those behaviours please make a screenshot and include it in your ticket report, it will help us to perform the punishment even if you are offline, tickets reporting players without proof will be discarded. – We will disband any guild with an inappropriate name. – We believe we do not have to warn the players constantly about some kind of statements that exalt terrorism, nazism and racism or even personal attacks to other players. We will start to mute players without warning so avoid those comments and attitudes. If you want to make jokes you can always use another kind of subjects for it. Stay polite and respectful on every aspect of the game.